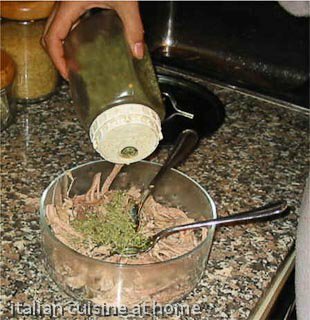 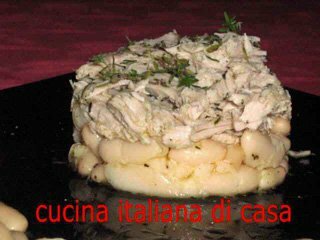 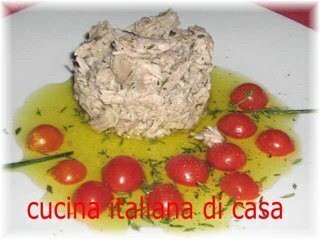 Recipe: how to prepare the Tuna of Chianti (tonno del Chianti), Italian recipe. 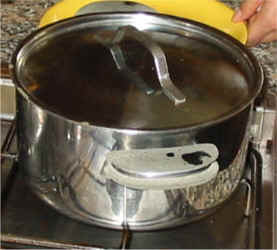 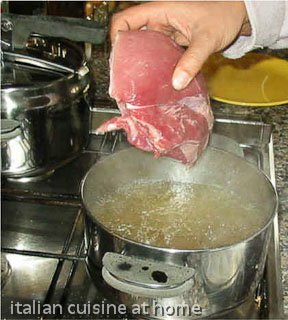 It is important that you place the meat into the broth only when it bubbles, so it will not become hard and not lose its juices, but will assimilate the scents of the broth. 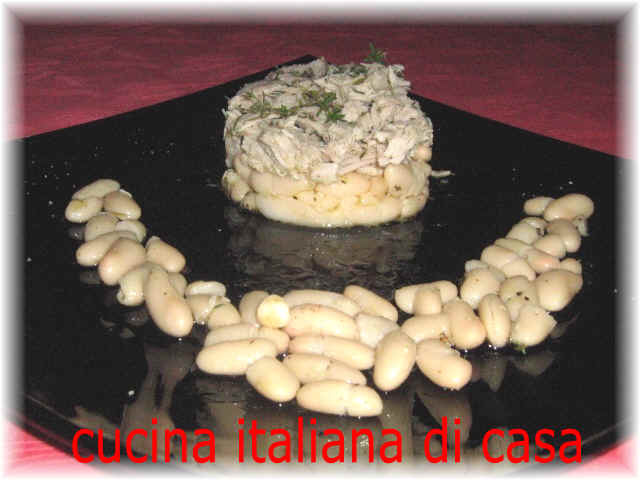 Serve warm, combined with cannellini al fiasco puntarelle or rough barbe di frate. 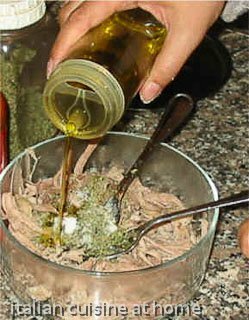 If you want to store put it in a sterilized pot of glass, crush the meat well with a fork and cover with extra virgin olive oil , making you sure that all is completely covered with the oil.